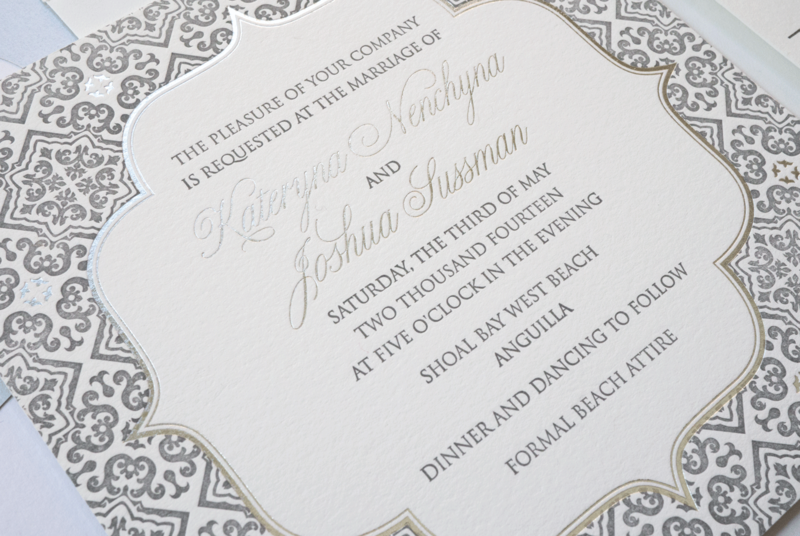 This stunning arabesque pattern was used to create a formal look for the couple's beach wedding. 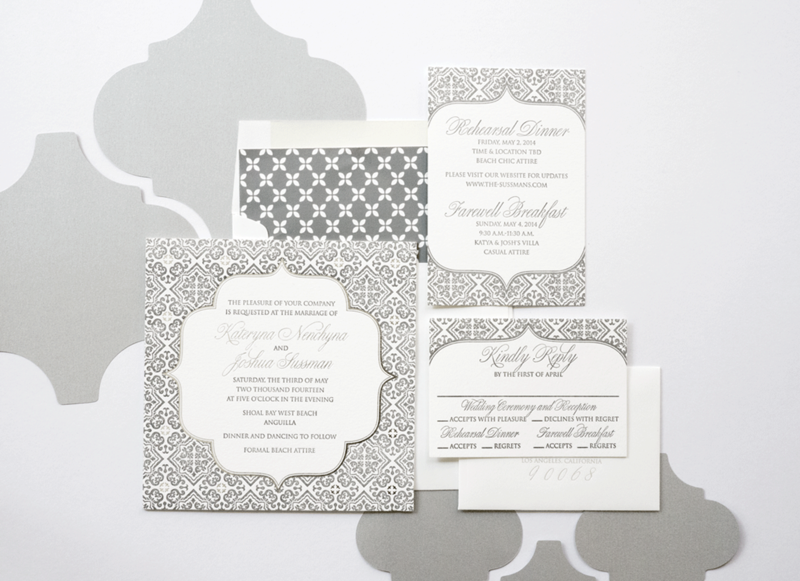 Paired with the ornamental design, the geometric patterned liner gives this wedding invitation a more modern feel. 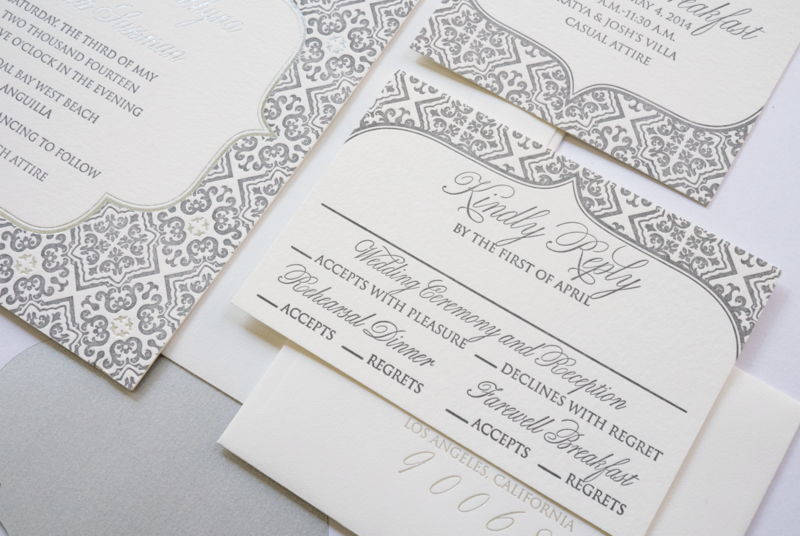 Letterpress printed with silver foil accents. Wedding suite included an invitation, custom printed lined envelope, rsvp set and invitation to the rehearsal dinner and morning after brunch.